CUPE concerned with reduction of hours for educational assistants at Good Spirit School Division | Where's the funding? Good Spirit School Division is the latest school division to feel the impacts of the provincial government’s underfunding of education. In order to help balance the books, the school division is reducing the hours of work per day of over 50 educational assistants and not renewing over 20 temporary positions. The union is worried about the impact this will have not only on members but also on students. All educational assistants working 6 hours or more per day have been reduced to 5.75 hours per day. While this provides bell to bell coverage, it does not take into account students who have needs before and after school and conferencing between educational assistants and/or teachers. “Caring for our students does not end when the bell rings. We are there when a student arrives, helping them off the bus and to get settled into the school day. At the end of the day, we make sure students get safely on the bus and home with all of their homework and belongings,” said Sastaunik. 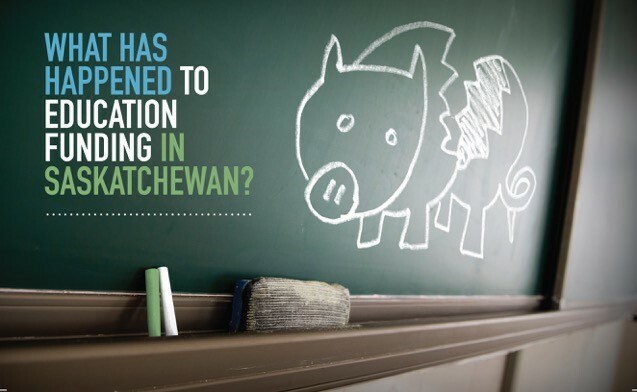 Over half of the school divisions across the province are experiencing budget shortfalls, due to both stagnating funding and the provincial government’s refusal to fully fund the contract it signed with teachers. CUPE Local 4784 represents support staff in several classifications at Good Spirit School Division, including educational assistants, library technicians, administrative assistants, nutrition workers, maintenance workers, caretakers, and mechanics.